Consumer spending helped boost July sales tax revenue 8.29% higher than a year ago in the region’s four largest cities, according to the latest reports from Fayetteville, Springdale, Rogers and Bentonville. Tax revenue from the respective cities also rebounded from a 2.3% dip in June. Cumulative collections in these anchor cities totaled $5.392 million in the July report, a gain of $412,664 over the revenue reported in the year-ago period. The year-to-date results are also strong for the region. For the first seven reporting months of 2016 the combined cities collected $35.653 million in sales tax revenue, up a 22%, or $6.445 million, over the same period last year. All of the cities reported double-digit gains over the same period last year. July revenue represents taxes on goods sold and services rendered in May, with taxes remitted by merchants to state officials in June and the money sent back to cities in July. The cities collect a local 2% tax which is split evenly between their budgets and their parks. This report reflects the 1% going toward the cities’ general operating funds. The July revenue was a record in Rogers and the second highest revenue report for the city this year. The city finance report shows sales tax revenue through July puts the city 38% ahead of its annual budget target for this point in the year. 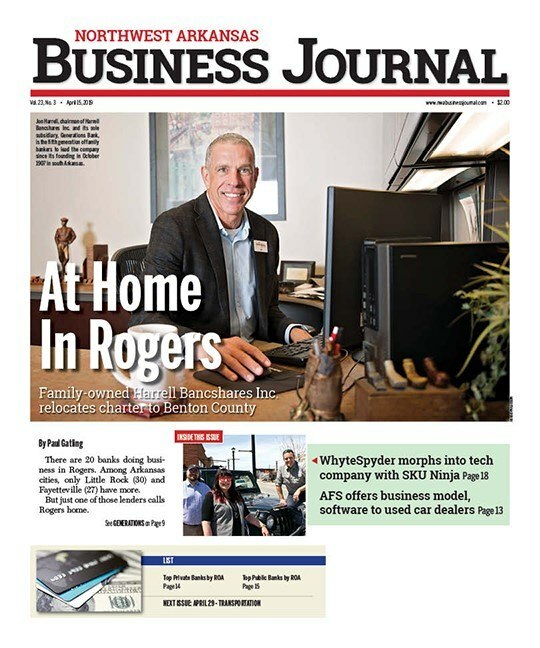 Helping the sales tax revenue in Rogers and the region overall is a robust economy driven in part for record low unemployment and low fuel prices that have consumers spending a little more of their earnings this summer, despite some concerns that spending could taped in the back half of the year. Rogers continues to see commercial development across the city, particularly at Pleasant Grove Road and the Pauline Whitaker corridor near the new office tower project by Hunt Ventures. In recent months there have been several new eateries like Newk’s and Deluxe Burger open in the vicinity which is also near the Walmart AMP. Baja California Tacos is also planning to open soon in that same area of western Rogers. Along West Walnut Avenue Raising Cane’s chicken is still under construction and near construction of the new Stein Mart store. At Pleasant Grove Road the IDK Cafe recently opened in the former Backyard Burger site and a new Ross store nears completion in that same retail complex. Bentonville sales tax revenue has seen wide swings this year, down 27% in June before the recent 6.25% rebound. While city officials were happy with the July revenue, it was not the strongest July on record, which occurred in 2014, according to the city’s finance report. Bentonville has also seen more restaurants seek out locations in the city in recent months. Great American Taco has scoped out a new location at 500 E. Walton Ave., Suite 28. The permit with the Arkansas Health Department was filed on July 8. A second location for Bike Rack Brewery is planned for 801 S. W. 8th Street in the Public Market under renovation in the former Tyson Foods fry plant. Two other local restaurants are planned for downtown Bentonville in the coming months. Both are located on West Central Avenue between S.W. A Street and Main Street. Insiders say one of the two will offer Mediterranean food. Bentonville is well on the way to its $9.8 million annual budget. Through July the city has collected $6.274 million, according to city reports. Growth in Washington County is a little slower but Springdale and Fayetteville continue to stride ahead of budget with their collections in 2016. Springdale has seen strong revenue in 2016 and July was a record for that month. City leaders expected to see modest sales tax growth this year coming off of a record 2015 growth rate of 10.22%. In 2016 revenue is trending 22.4% over a year ago and there are still large projects like a new Sam’s Club coming in 2017 which could push the revenue higher. July was also a record month in Fayetteville with revenue trending 7.04% over a year ago and 7.03% higher than the same month in 2014. Mayor Lioneld Jordan said he was pleased with the record revenue set in 2015 on the heels of several stagnant years. More growth is likely considering continued commercial expansion across the city. Through July sales tax revenue is $2.184 million more what was reported in the same period of last year. Sales tax collections are a lagging indicator so it’s important to put the numbers in context with their time sequence of events such as consumer spending reports from the same month. In May, consumer confidence across the macro economy inched up from April, but it was slightly slower than economists had expected. Consumers had a positive take on vehicle and home sales, which rose amid low interest rates, said Richard Curtin, a chief economist with the survey. Still, Curtin sensed at that time that consumers were saving money as a precaution, as uncertainty looms over the Federal Reserve’s interest rate increases and the presidential election. But with the Brexit vote and other global tensions interest rates decreased. Economists do not think rates will increase this late in the year with the general election now within four months. Consumers could pull back on spending ahead of the November elections, but while there is a lot of rhetoric about the election, economists say they will be surprised if consumers pull back spending given that incomes are slightly rising and fuel prices remain low.